Tis' the season for summer entertaining and backyard dining. We've got the perfect collection of Grommets that are sure to enhance your summer get-togethers. A beautiful ceramic bowl with a strategically engineered lip that’s designed to push the dip onto your chip for a more stable scoop. 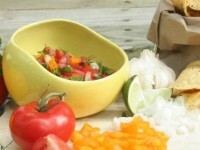 Buy the Salsabol spill proof salsa or dip bowl here. Once you experience this DIY carbonation system, you might find yourself trying to carbonate every beverage in your home. Juice, tea, wine, cocktails, mocktails... you name it, this little gadget can add bubbles to it. 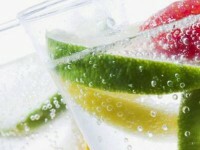 Buy the iSi Twist and Sparkle seltzer maker/drink carbonator here. 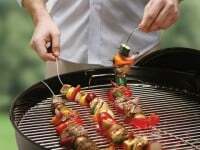 Made of stainless steel cable, Fire Wire skewers can literally bend to your cooking needs. You can shape them to fit inside a container for marinating (try doing that with rigid metal skewers), or twist them so they fit on your grill. Buy Firewire's flexible metal skewers here. 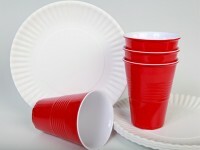 They look just like the ubiquitous paper plates and plastic cups that appear at picnics and barbecues everywhere, but they’re not disposable. They’re made of durable melamine, so they’ll hold up to gobs of barbecue sauce and potato salad much better than the flimsy dinnerware they pay homage to. Buy What Is It? Melamine plates and cups here. When the garden work is done and the sun is down, it’s time to enjoy the Allsop’s stunning solar-powered lanterns. The accordion-style lanterns and string lights are made from nylon so the vibrant colors will stay bright and won’t fade from sun exposure. Add a glow to your summer entertaining. Buy solar hanging lanterns and string lights here.